Do you really want to be made whole? After this there was a Jewish feast, and Yeshua went up to Jerusalem. Now in Jerusalem there is a pool by the sheep gate, called Bethzatha in Aramaic, which has five porches. In these a crowd of invalids was lying around—blind, lame, disabled. They asked him, “Who is the man who told you, ‘Pick up your mat and walk’?” But the man who had been healed didn’t know who it was, for Yeshua had slipped away into the crowd in that place. Afterwards, Yeshua finds him in the Temple. He said to him, “Look, you’ve been healed! Stop sinning, so nothing worse happens to you.” The man left and told the Judean leaders that it was Yeshua who had made him well. Do you want to get well? The only thing that stands in our way of being freed from addiction, anger, depression, lust, and the like, is whether or not we want to be free of it. Jesus offers wholeness to everyone but not everyone will choose it. It seems ridiculous that someone would choose to not be whole. But sin is a choice that people make. Staying in sin is no different. The man’s desire to be made well is what brought him to the pool time after time. His desire to be made whole is what put him in the place to meet Jesus and experience His liberation. But if someone doesn’t really want to be made whole, to give up that addiction, to experience freedom, then they won’t. Jesus has never forced someone to choose freedom and wholeness. But He offers it freely to all who are willing. Get up! To live in freedom takes action on our part. Once Jesus speaks healing over us we can’t lay by the pool any longer. We need to move. This man couldn’t walk for over three decades. Then Jesus said, “get up!” When Jesus replaces our anxieties with peace, we walk in that peace. We don’t go back to the pool of anxious thoughts. When Jesus crushes the chains of addiction, we walk as though we are no longer addicts. Immediately, the man was healed! Sure, healing can take time. But wholeness can also come in an instance. To say otherwise is to say that Jesus’ power was great enough to make a lame man walk but not give me joy in the place of my anger. It’s saying Jesus can create the world in 6 days but He cannot replace my depression with hope. If we want to be well, we can be with one word from His mouth. “It’s Shabbat! It’s not permitted for you to carry your mat.” The path to our being made well will often be met with resistance from people around us, sometimes from those closest to us. When I made the decision to no longer drink alcohol seven years ago, I had several people try to talk me out it. People often attack what they don’t understand or what may even make them feel conviction. But we can never let the words of people unravel in our hearts what Jesus has already spoken over us. “Look, you’ve been healed! Stop sinning, so nothing worse happens to you.” We hold the key to the longevity of our wholeness. I admit I’ve been set free only to walk back into the filth again. When Jesus makes us new, He makes us white as snow. He doesn’t wash us clean so that we can go back to playing in the mud. If someone in your life did something wrong, would you be a person they’d want to come to? What if they had done something to you personally? 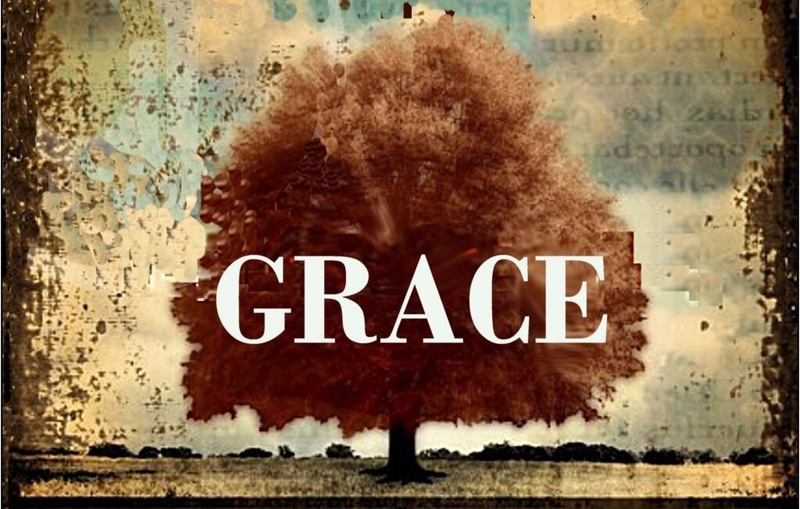 Grace is not ours to withhold. Doing so communicates a message about Jesus that He is enough to forgive my sin but not enough for me to forgive yours. The power to forgive, found in Christ, can be applied to all situations. To argue the contrary is to say that our hurt is worth more than the souls of humanity. Christ died for our souls in the face of our hate and rebellion and sin. What do we have to do in order to forgive someone of their debt? We certainly don’t have to be beaten, have nails driven through our wrists and feet, or hang to death on a cross. Jesus endured all that so that those who choose Him can have every wrong erased permanently. I’m not saying that grace is always easy, but it is necessary. No one could ever wrong us more than we’ve wronged God. To show grace is to show others a glimpse of God. To show grace is tell others that Jesus’ sacrifice is real and powerful and life-changing. Why don’t we repent as fiercely as the Ninevites? Have we lost touch with the weight of our sin? Have we forgotten what it cost to purchase our forgiveness? Have we reduced repentance to a simple prayer? Have we refused to allow repentance to cost us something? Forgiveness may be free, but repentance should cost us much! The king knew that his repentance should cost him and so should ours. Repentance is not feeling ashamed of what we’ve done and asking for forgiveness. Repentance is a brokenness that can only be put back together after the broken pottery (us) have surrendered themselves to the Master Potter (God). Repentance is an end of one thing and the beginning of a whole new thing. That new beginning can’t come until the broken see the need to be fixed. No one can really repent of something they don’t think is sin. And no one will think that sin is that bad if they forget the excruciating pain that Yeshua went through for the cause of our redemption. Sin tore His skin with the lashes, drove the nails through the wrists and feet, and pressed the crown of thorns into our Savior’s skull. How could we ever treat our sin so lightly? To do so dishonors the grace we’ve been shown by God.